Aberdeen is the third most populous city in Scotland. With over 196,760 residents, it is the United Kingdom’s 37th most populous built –up area. Aberdeen is the ultimate chance to get a glance at the North Sea petroleum industry. 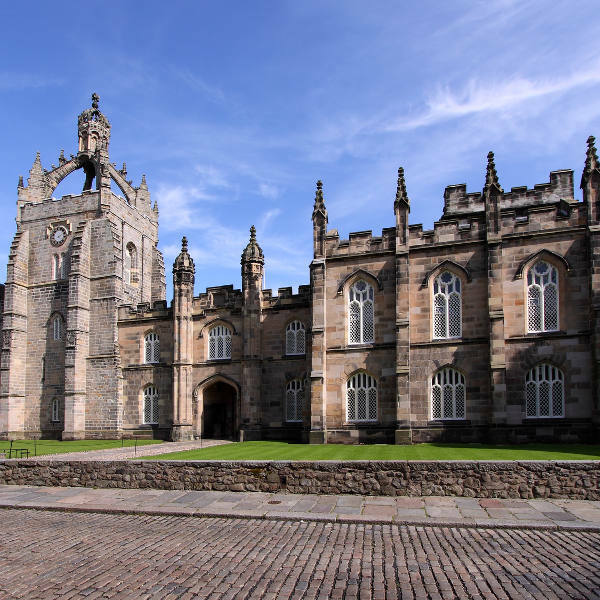 Known as the Granite City, cultural attractions include the incredible Maritime Museum and Aberdeen Art Gallery. Cheap flights to Aberdeen are now available for a limited period, so be ready to be enchanted by this silver sparkled city! Aberdeen is home of Aberdeen International Airport (ABZ), which is located a short 18-minute drive from the city centre. Aberdeen International Airport serves a multitude of airlines – including British Airways, KLM, Lufthansa, and Air France. Popular international flights depart from Cape Town and Johannesburg. Flight duration from Johannesburg is approximately 14 hours and 20 minutes! Aberdeen is commonly known as the Silver City, since the mica in the stone sparkles in the sun. Call it the ‘twilight of cities’, if you will. It is spectacular. 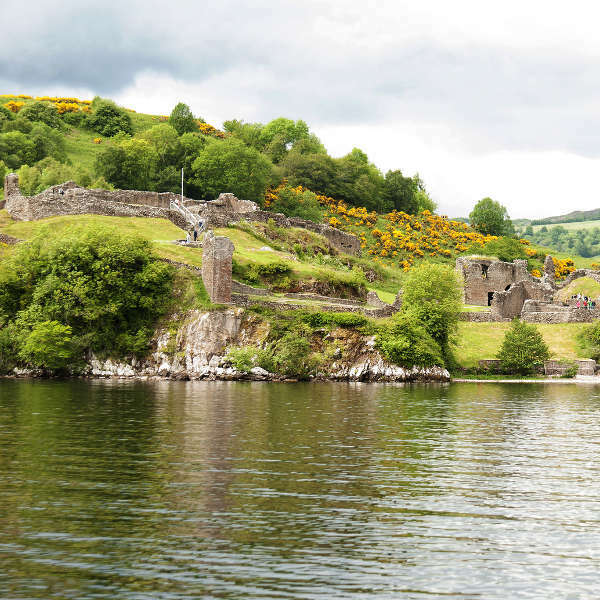 Enjoy a Loch Ness Day Tour. Seek to discover the age-old Scottish mystery. 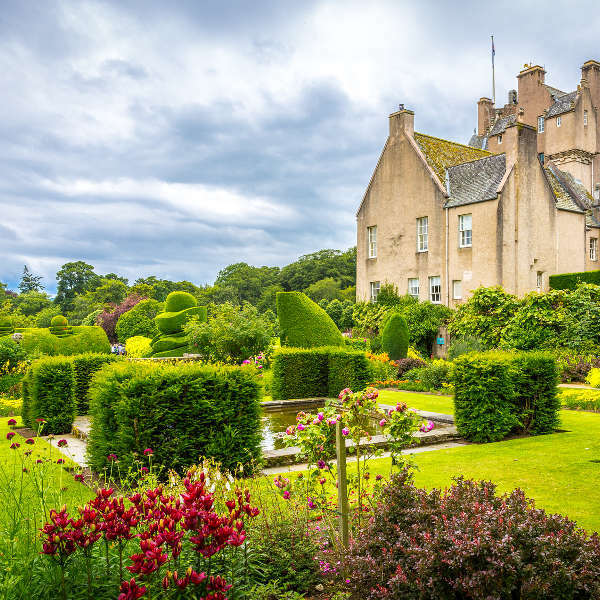 The tour is an exciting journey along Aberdeen’s green landscapes and countryside routes. The city boasts incredible city wide floral displays, which include two million roses. Tourists can choose from 45 parks and gardens to enjoy in the city. The best time to visit Aberdeen is from June to September. This coastal city is a little warmer during these months. The coldest months in the city are January, February and December. For cheap flights to Aberdeen, consider travelling during the months of December and March. It may be dark and gloomy, with short daylight hours, but it offers you a chance to watch the spectacular night sky show, known as the Northern Lights and Aurora Borealis. Aberdeen is a majestic city with beautiful rolling hills, scenic mountains, luring beaches and dreamy coastal cliffs. The city transports you into a fairytale, pleading for you to unwind and just breathe. The sonic beauty of the traditional local accent, Doric, travels through the city. The Doric Festival, which takes place in Aberdeenshire, celebrates the history of the north-east’s language. Famous for its granite architecture, the city literally sparkles. This unique visual quality adds to Aberdeen’s list of mysterious attractions. Along with the beach, which is a short distance from the city centre, Aberdeen boasts incredible activities that will keep visitors entertained with its charm. An incredible sight to behold is Balmoral Castle, the summer residence of the Royal Family. The grounds, gardens, exhibitions, gift shop and café are open to the public from April until July. Compare several airlines, and book your cheap flights to Aberdeen online at Travelstart! South African passport holders are required to apply for a UK visa. See this step-by-step guide on how to apply for your UK visa in South Africa. Make sure you are up to date on routine vaccinations when travelling to Aberdeen. Routine vaccinations include Hepatitis B, Rotavirus, Polio and MMR. A rabies shot is required for travellers that will be involved in outdoor activities and activities in remote areas. Visitors are encouraged to carry a card that identifies your blood type, chronic conditions and serious allergies. Aberdeen is not known for high crime rates, but it is best to keep an eye on your belongings in any major city. Be vigilant on crowded transport services and at popular tourist spots, as theft is a common crime in the city.